KIKO Milano was a brand that I have always heard good things about but never got the chance to try it out. I guess I was never too curious until recently, when YouTuber Kathleen Lights mentioned the mascara featured in this post. I notice that recently people are mentioning this brand even more and I did not want to be left out and so, while on holidays in Madeira, I went to the nearest KIKO Milano store and grabbed a couple of products, the KIKO Milano Blooming Glow Revitalizing Face Serum and the Extra Sculpt Waterproof Mascara. 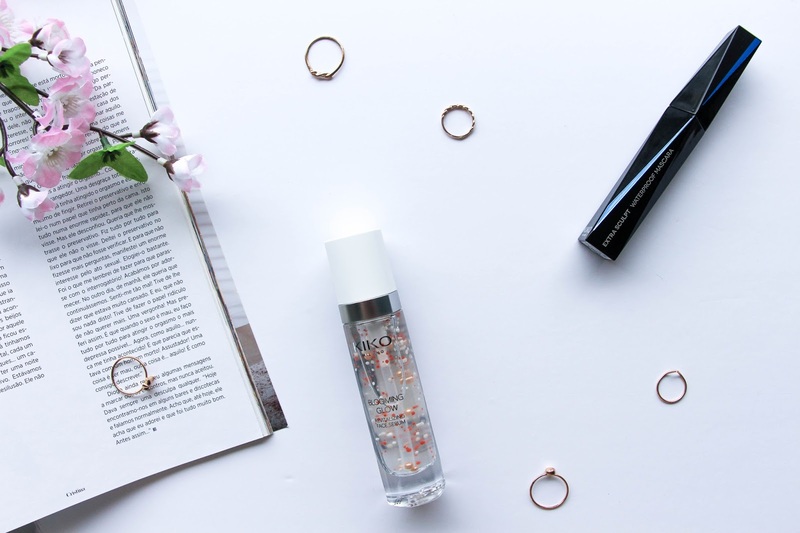 These are products that I have been using non stop and so I though I would review them here on the blog and maybe convince you to buy them – because they are worth it! First, let’s talk about the serum. This was the product I bought because the guy in the store said I needed to have it and I wanted to know why! I never, ever used any serum before applying my makeup. Normally I just moisturize and prime and I am ready to go. Now there is an extra step I have to take but I guess it is totally worth it. 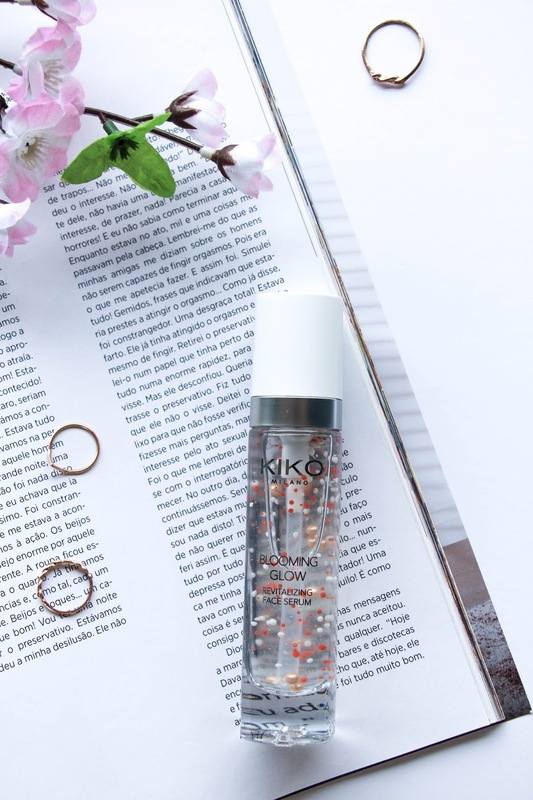 The KIKO Milano Blooming Glow Revitalizing Face Serum claims to have vitamin PP, A and E microspheres to give the skin a boost of moisture, evenness and luminosity. After application, the complexion appears soft, even and radiant. Packed in a beautiful airless glass bottle, the formula is preserved and you can actually see how much you still have – love that. I love the fact that I can see all the little tiny particles and this feels like an high end product but only retails for £13.99. This is a product that I apply after my moisturizer (I know, it is suppose to be the other way but this is how it works for me) and I can definitely notice a difference when applying my makeup. The foundations glides much smoother into my skin and I can spread it evenly without much effort, giving my complexion a much smother look. One thing that I was expecting from it was to kind of hide any fine lines and also prevent my concealer from creasing and that is something it did not do for me. I guess it is just my skin, because I have tried so many products that people love – like concealers that don’t crease in others – but it never works for me. Still need to find that little gem. Anyways, this is a great serum that gives my skin a nice glow, keeping it hydrated. It does not make me look greasy or whatsoever. Will definitely be repurchasing it. The next product I picked up from KIKO Milano was the Extra Sculpt Waterproof Mascara. You all know that I have been looking for a mascara that gives me length, volume and holds the curl and I can finally say that I found it! YESS! This is a volumizing mascara with a thick yet creamy texture that applies easily and it is buildable without looking chunky and I love that about it. The applicator it is quite thick and it has an hourglass shape that helps you to get to those tiny inner corner lashes. I am quite messy when applying my mascara and so with this thick applicator I have to be extra careful to not get it all over the place. 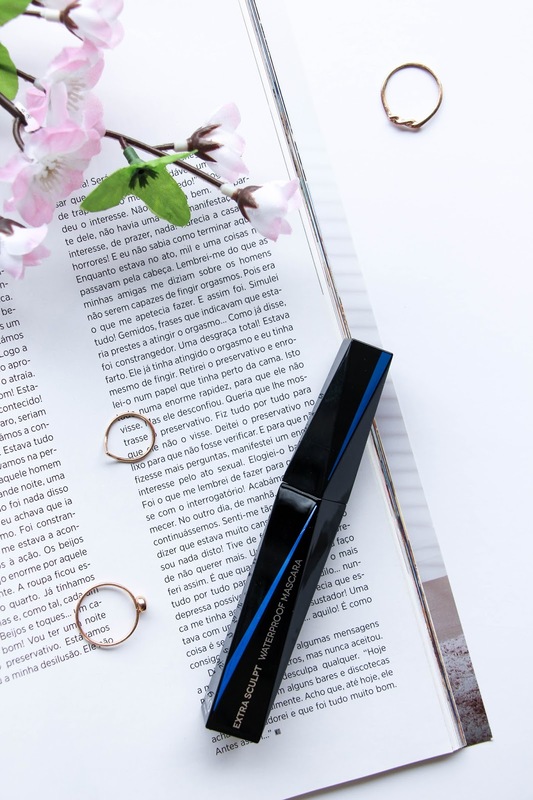 With this mascara I get that extra volume needed, great length and the fact that is waterproof means that it holds the lash curl much better than the other regular mascaras and that is a pro to me as I have such tiny, flat lashes! I also apply this to my bottom lashes and I love the effect that it gives. With such a thick formula you would expect it to be very clumsy and chunky but it is nothing like that. It is so creamy and easy to apply that you would be surprised. I am definitely going to be repurchasing this mascara too, unless I find a better one! The KIKO Milano Extra Sculpt Waterproof Mascara retails for £8.99 – it is definitely a great price for an amazing quality product! Have you ever tried it before? For my first go ever with KIKO Milano products I have to say that I am really impressed and now I am a fan of this brand. There are a few products that I will want to try in a near future but if there are any that you really recommend, please let me know! If you are like me and never tried any KIKO Milano makeup, these two products would be a great start! You should definitely give them a go!